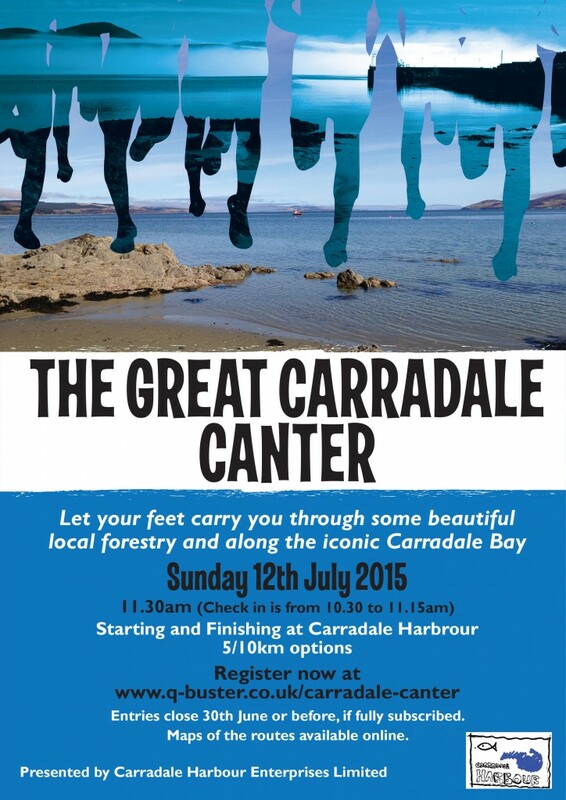 Carradale Harbour Enterprises Ltd is delighted to announce the inaugural Great Carradale Canter taking place on Sunday 12th July 2015. This will be primarily a 10K event although there will also be a 5K alternate for younger/beginner runners. Check in is from 10.30 to 11.15 am for 11.30 (10K) and 11.45 (5K) start. 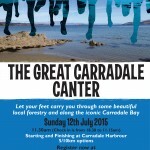 To enter go to https://www.q-buster.co.uk/carradale-canter Entry costs just £15 (£10 and £5 for the 5K) and entries close 30th June 2015 or earlier if fully subscribed. The race begins at Carradale Harbour, a hilly start on local roads. The 10K course then heads across Carradale Bay and then onto forest roads, before returning to the village across fields to Shore Road and back to the Harbour for the finish. The 5k run follows a similar route but has short cut before the beach. This is an idyllic trail race with a mixture of sandy beach, path and forestry track with a few short(ish) road sections. Depending on the weather the off road sections may be muddy underfoot and entrants are advised to wear appropriate footwear. Some surfaces are uneven and can become slippery. Maps will be included in the entrant packs. Prizes will be awarded for 1st Male and Female as well as Junior and Senior. We made it! The final lorry drove away this week taking the last of the spoil with it, the fencing was taken down and finally our lovely new curved bench was installed, a place to rest and admire the view. 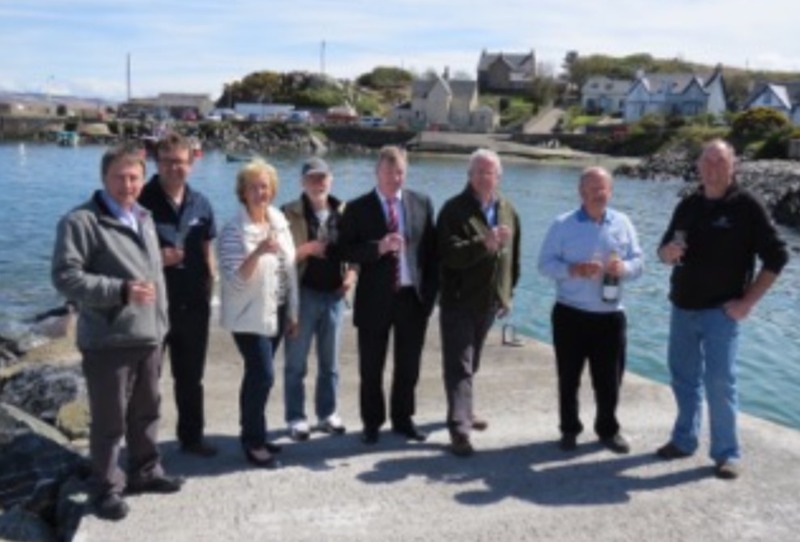 Champagne was used to toast the handover of the slip by the contractors, Macleod Construction to Carradale Harbour Enterprises Limited, part of Network Carradale Limited, the village’s community business. The project was part-financed by Axis 4 of the European Fisheries Fund 2007-2013 programme with contributions from Marine Harvest, East Kintyre Windfarm Trust and the Carradale Community. The main subcontractor was local firm AJC Civils. The slip is available for use by anyone, with users being requested to make a small contribution to ongoing maintenance. It will be useful for launching small boats by visitors and locals and should be of great assistance to the Marine Harvest fish farm. One project, put forward during community consultation was a small ferry service across Kilbrannan Sound to Arran, which now has the capital infrastructure to get underway. 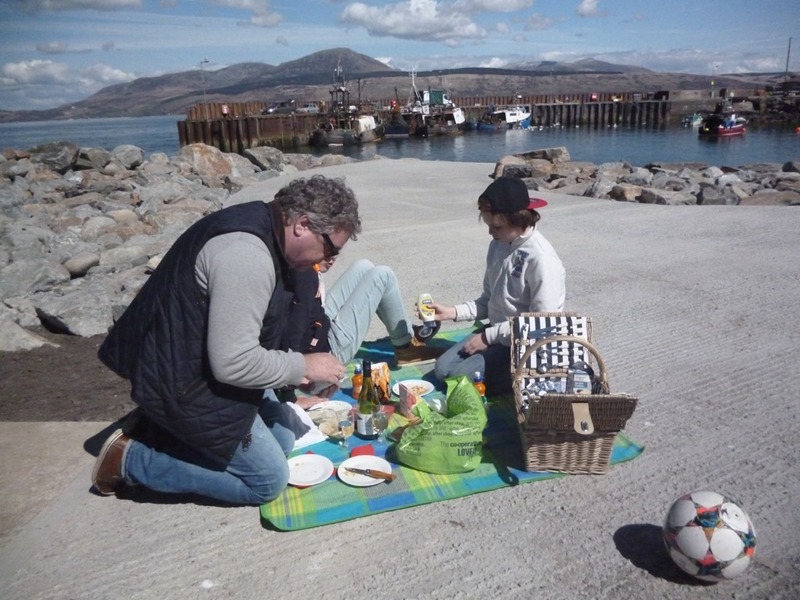 One use that was not anticipated, however, was as a picnic area in fine weather. But no sooner is the slip open when the Flick family, from Hilversum in Holland, made use of it to spread out their lunch. Bon appetit! The rain was forecast and so it came, in torrents, not what we would have wanted but contingency plans slipped into action from early in the morning. With an hour to go before start time the Village Hall, our backup location, was buzzing with activity. A team of volunteers was working hard in the car park despite the drenching they were receiving and two large marquees had been erected in no time at all giving us some dry space for the barbeque and the bar. Sadly the poor weather meant that the canoeists were unable to entertain us as planned but as midday approached it began to look like we still had a Harbour Day. The crowds were soon pouring through the doors, dripping wet but undaunted in enthusiasm, and there were pirates everywhere, young and older. 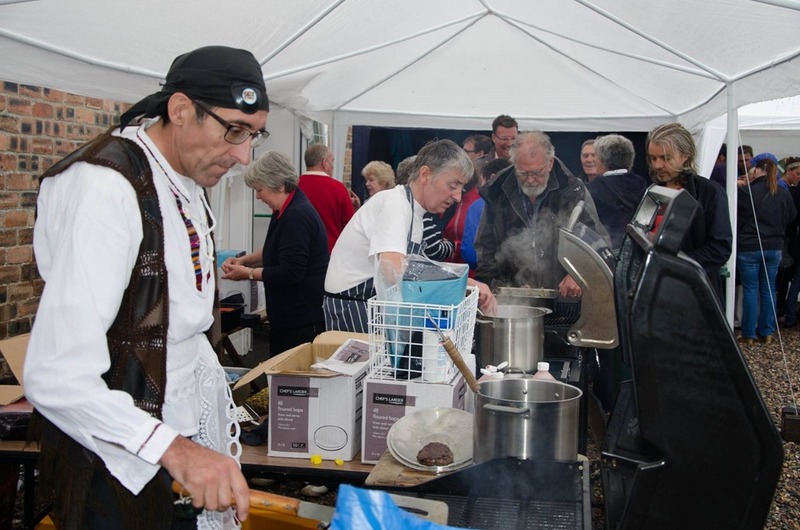 Immense gratitude goes to all who helped out and made the day such a great success. What a team! 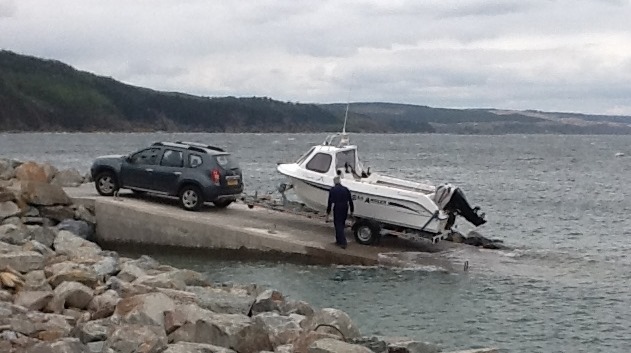 Many more pictures can be found on the Harbour Facebook page. This y ear the Harbour Day promises to be better than ever with a full timetable of events taking place throughout the afternoon. 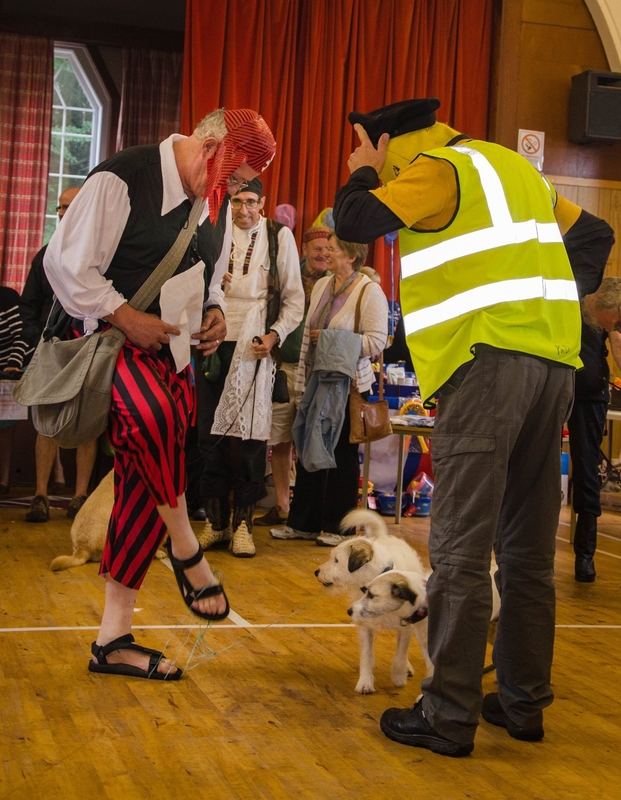 Once again we are going pirate-themed, including the fun dog show, which is a time to show off all your pet’s many talents. The Kintyre Canoe Club will be staging a canoe polo match in the harbour itself, a first for Carradale, and there will be loads of stalls and refreshments too. Just click on the poster here to enlarge. For those expecting to see a new slip constructed in the harbour, well it’s not there yet but work is due to start very soon. 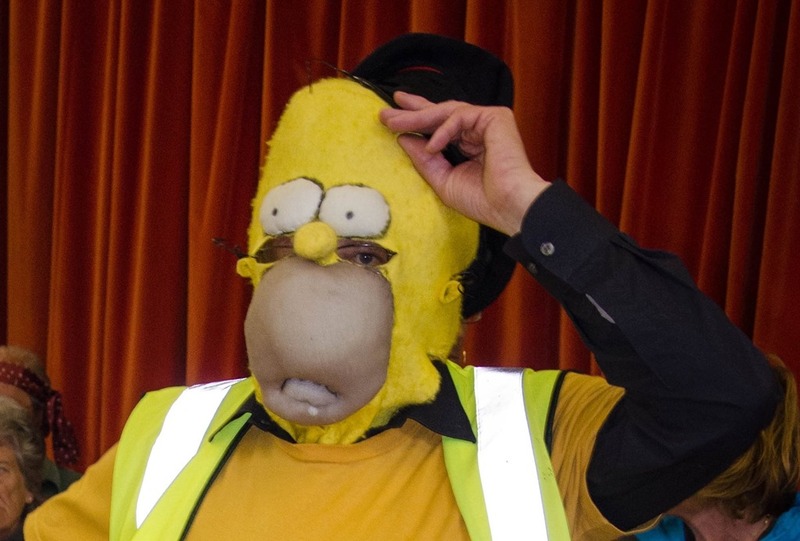 There have been some delays which the Harbour Group team have been working hard to resolve… but it is coming!